Born to the street but raised within the aristocracy, Drake Darling can't escape his sordid beginnings. Not when Lady Ophelia Lyttleton snubs him at every turn, a constant reminder he's not truly one of them. But after rescuing her from a mysterious drowning, he realizes she doesn't remember who she is. 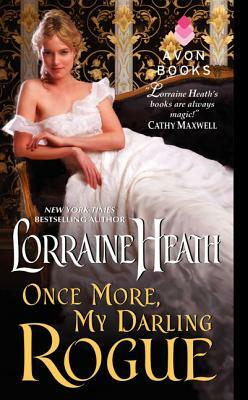 With plans to bring her to heel, he insists she's his housekeeper—never expecting to fall for the charming beauty. While Ophelia might not recall her life before Drake, she has little doubt she belongs with him. The desire she feels for her dark, brooding employer can't be denied, regardless of consequences. So when Ophelia's memory returns, she is devastated by the depth of his betrayal. Now Drake must risk everything to prove she can trust this rogue with her heart once more. Heath steals your heart, then takes you on a journey that will leave you torn between tears and joy. Heath is a consummate storyteller, whose characters leap from the pages. Their powerful emotions and intense passions translate exceptionally well to readers, allowing them to become deeply involved in the fascinating plot and leaving them breathless and wanting more.